Hated leaving that beautiful albergue, but knowing it would be a scenic walk near the ocean and ferry ride to Santander got me going. Several of us covered the 21 km (13 mi) in just over 5 hrs. and then had to wait several hours for the albergue to open (either at a cafe or in front, as you can see from the pictures). 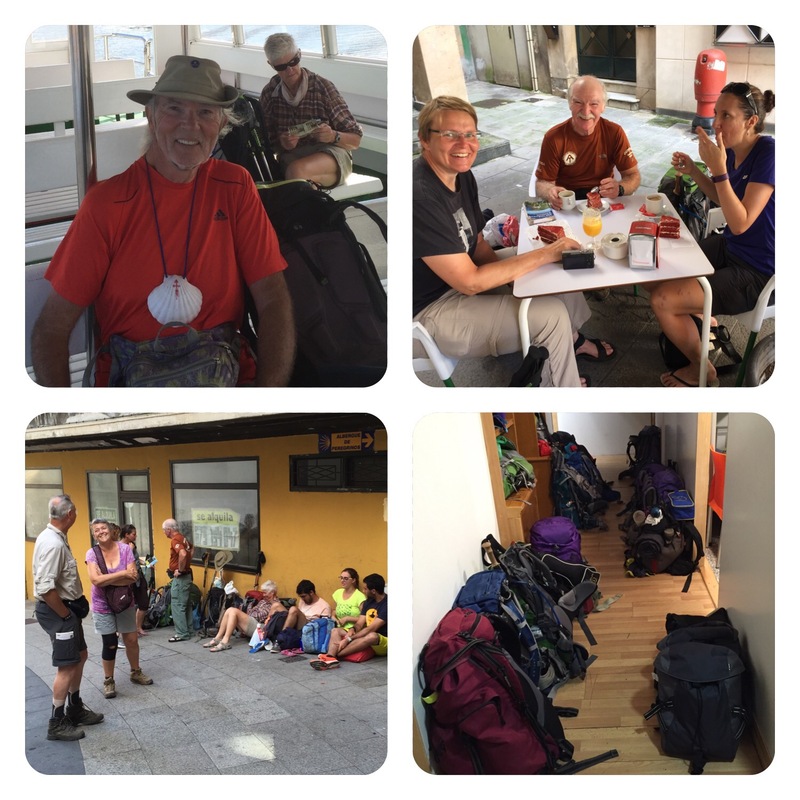 We found the Santender albergue extremely cramped–so much so that we couldn’t bring our backpacks into the little 8-bunk rooms. They barely had room to turn around. 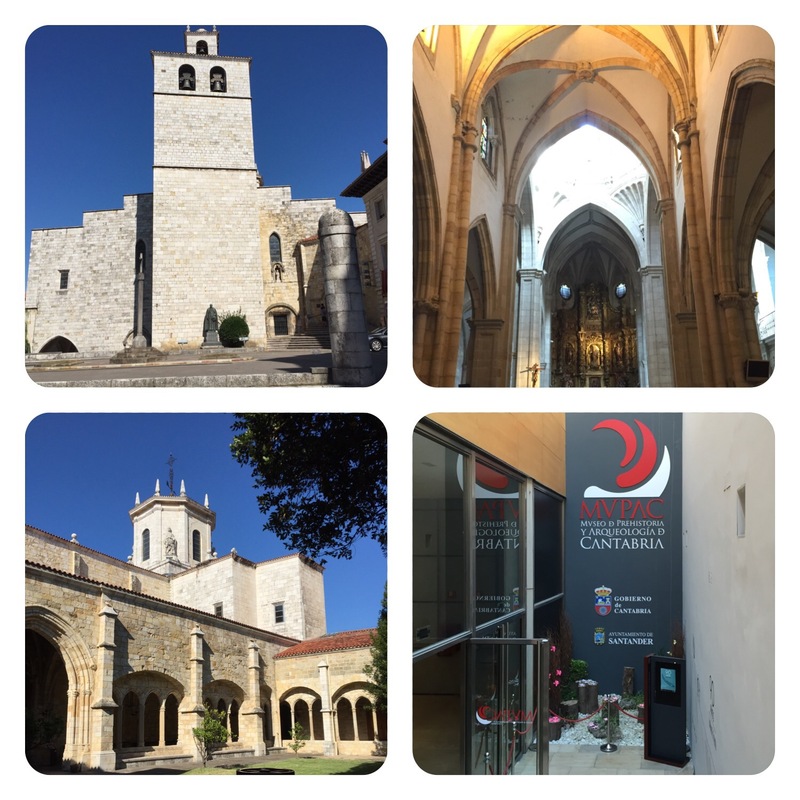 After we got settled, we toured the Cathedral and had time to visit the Santander Prehistoric Museum that was most interesting in that its focus was on the Cantabrian Region (that we’re in). What a difference between the two alburgues! But glad you were able to walk along the ocean again and take the ferry to Santander. A good walk today.